Steel Wool Photography Guide - How to Do Steel Wool Photography? Today, we’re going to find out how to create steel wool photography like the cover photo above without a fire department involved. I’ve seen these steel wool photos all over the internet. I’ve seen them on Instagram, actually, it’s pretty popular because they look insane. If you really had no idea how it was physically done, check out these 20 steel wool photography tips that will help you do everything safely and awesome! If you’re going to create some art steel wool photos, look through these useful photography and photo editing tips. I’ve tried to cover everything that could help you to make everything well and safety for the first time. To take steel wool pictures, you need to use long exposures in order to capture the red-hot embers moving in the air through rotating flaming steel wool. These glowing coals are very bright. When they are in motion, the camera captures the band of light creating a mystical image. If you are experienced in shooting large open-air fire, you will surely see long light trails which are made by flickering embers. It is possible to imitate this effect by setting fire to steel wool and carefully spinning it. Camera and Lens. Steel photography doesn’t require expensive gear or special lenses. It is enough to have a camera that is capable of shooting in the Manual Mode and a 17-50mm lens. This is a basic full-frame camera with excellent performance and it is capable of shooting in dim light. Canon EOS 6D SLR is compact and very user-friendly for beginners. This mid-range camera produces an amazing image quality. Moreover, it is rather affordable which is a great advantage. As for me, the best variant is to use a wide angle lens. It makes the image more vivid and extraordinary. If you like experiments, use a fisheye lens. It allows combining light with the barrel distortion in an original way. This is a large-aperture standard zoom lens that covers a focal length from 17mm wide angle and offers a large aperture of F2.8 throughout the entire zoom range, making it ideal for many types of photography especially portraiture and landscapes that is good for steel wool photos. A Steady Tripod and Shutter Cable. Steel wool long exposure photography requires a stable DSLR tripod to stabilize the camera while exposing. This prevents image blurring. It is also necessary to have a shutter cable to avoid the camera shaking. It is advisable to have a self-timer as well. Steel Wool. There are many varieties of steel wool for photography, but it is better to use grade 0. One of the most proven manufacturers of steel wool. Can burn for about 20 seconds. It burns fast, so take a lot of fine steel wool to take as many photos as you can. String. People use string or a dog leash to spin the steel wool. I recommend buying the 1 – 1.5m long string. Stainless Steel Whisk. In order to hold steel wool, use the cage of a whisk. Tie a rope to the hook which is at the top of the holder. The wool should be put loosely to allow oxygen to penetrate into the whisk and speed up the burning. Thinner steel wool provides faster results, for example, grade 0. Remember: Steel wool will be very hot when start burning. Don’t use silicone whisks because they will melt. This is a great set, which is useful not only in the kitchen, but also for steel wool photography. Protective Gloves. Steel wool is rather sharp and can hurt your hands. It is necessary to wear protective gloves to care for your hands. Lighter. The safest and the most convenient way to ignite the fibers of steel wool is to use a lighter. Remember that it burns quite easily. Start spinning in order to make the fibers burning. In this case, steel wool will burn within a few seconds, depending on the spinning speed. Stylish and comfortable lighter with protective button and comfortable covering. Step 1. Fasten the whisk to the chain or cable. It is better to take a length of about 2 feet. Step 2. Take some steel wool and stuff it in the head of the whisk. Do not put it too tightly as the air will have to pass through it so that it burns. I prefer to make it fluffy before packing it into the whisk. In this case, the sparks will be much brighter. Step 3. You can ignite the wool with the lighter. There is no need for the wool to be on fire. Light just several parts to make beautiful sparks. Step 4. To have the sparks moving through the air and flying from the whisk, you need to hold another end of the chain and perform circular movements. Step 5. After a person begins spinning, get your camera and take an image. Shooting at 10-second exposures, you will be able to take 2-3 shots before the steel wool burns to the ground. It is necessary to practice a lot before the shooting. Mainly, you should realize how to stop spinning gradually trying not to hit yourself. Don’t take it personally, but in case the whisk strikes you in a moment you are stopping it, you may begin to burn. I recommend having a bucket of water in case you shoot far from the river or the ocean. Anyway, you should cool the whisk in water before filling it with steel wool once again. Watch the Night-Time Photography Techniques photography course by Gabriel Biderman to create better images once the sun goes down. You can add steel wool to your photographs by means of these Sparkler Photoshop Overlays. Get incredible steel wool photos in several clicks for your clients’ safety. To take a captivating steel wool photo with a long exposure, you need to adjust your camera in the Manual Mode. As it was said before, the best time to shoot is in the evening after the sunset. You can do it in the daytime with the help of the ND filter, but the sparks will not be so perky and you will not achieve the desired effect. Check out my neon photography guide if you are fond of shooting with lights and reflections. Find out how to use these visual elements to give your photographs that stand-out quality. Shutter speed: This is most likely the most essential parameter for getting an awesome image. My recommendation is to choose the exposure between 5-20 seconds to capture the motion of light rays. Aperture: It is better to choose the aperture of f5.6 and f11to keep the whole composition in focus. ISO: To capture the steel wool glare, you’d better keep the ISO low. In this case, it is possible to keep the color detail and fine-tune the color temperature and saturation during the photo post-production. I recommend taking pictures at ISO 100 or 200. Remember there is no single right way to get amazing steel wool photos. This only depends on your picture vision and image editing skills. The only thing that should be taken into consideration is light. It may be the moon, twilight or any other source which a shooter can expose for a long exposure. If you want to become a real photo wizard and learn a chic effect not only when taking a picture of steel wool, but also other types of photography, read this book. Don't get upset if you have a dark location as there are also some options to choose from. You can take a photo of the environment using a higher ISO, a wider aperture or a longer exposure after or before shooting the steel wool and mix 2 photos while image editing. Most shooters would like to keep the device away from sparks. Personally, I choose a wide angle with a range of 15-35 mm to take the photo of the whole area where these sparks fly and land. There is also one important rule you should remember: the longer focal length, the further you need to move after hitting the shutter time. I'd like to share my first experience to explain better. I used a wider lens in order to avoid constant running forth and back from the spot. Otherwise, I would have to go quickly to the necessary place, get set up and light the wool before the shutter worked because I used a self-timer function on the device. Are you planning to use a tripod and shoot in low lighting conditions? Then remember to set a focus on the spot. As for me, I use a flashlight to mark the place and afterwards manual focus in live view. Finally, don’t forget to turn off a vibration reduction or image stabilization while taking steel wool photo on a tripod. The perfect time to take burning steel wool photography is at twilight, about 30 minutes after the sun came down. At dusk the surrounding atmosphere is dim, but the sky is still dark blue. This gives you an opportunity to use a long exposure and get a spectacular result. A shooter must be very attentive and careful in case of steel wool photography. There are so many situations when a photographer caused building or some other objects burning. I am sure you don't want to be such a shooter. So the first rule: keep away from trees and buildings and choose places near water. Of course, sparks are very nice and look great but they still are unpredictable. So follow all precautions, prepare a fire extinguisher and only then start taking unique photos. Usually, shooters place some steel wool on the rope end and set it on fire by stroking a 9V battery against it. Finally, they swing it around to cast sparks everywhere. Of course, photographers are eager to get a real masterpiece. However, they may do it at the expense of own health or lens work. That's why it is necessary to wear eye protection as well as use a filter. Use this fantastic photo accessory kit to maximize the you lens’ damage while taking steel wool photos near water and sand. It is important to select a location with no burnable things nearby. Everybody knows that trees, grass, wooden buildings, and vehicles can catch fire from the hot flankers in just a second. So no indoor location will suit steel wool photography. You'd better give preference to sandy or rocky deserts, beaches or large parking. Such places will be ideal as there are no nearby buildings. Remember, flankers may go for a long distance from the place where you are standing. So, make sure there is enough space between you and any burnable material. Do you want to get unique steel wool pictures? Then think of shooting after a rainfall. Early morning with dew will be also great. Finally, taking photos in the snow may bring you a lot of inspiration and an astonishing result. Surprises can happen even if the environment is wet and there are no burnable objects near you. So don't forget taking a fire extinguisher. There was a situation when I left it at home. However, I returned to take it. Of course, I missed the most perfect time for shooting. Nevertheless, I wasn’t upset as caution is above all. Mind that spinning wool photography needs not only a good preparation but a careful checking the location after the photoshoot. Devote some time to walk around to see whether there are any burning embers or hot spots. It is very important to ensure nothing will happen when you go away. Even a single hot ember may become a reason for the awful fire. In case you came across any suspicious objects, use sand, water or own fire extinguisher to get rid of them. Start spinning wool after setting up the camera. Mind you will get the image depending on the chosen kind of spinning. I want to share a few techniques on how to realize fantastic steel wool photography ideas. I hope you will like them. Start with vertical spinning. It can produce a great fire circle with sparks flying out nicely. Do you want to get sparks closer? Then choose horizontal spinning. The sparks flying towards the device will attract everybody’s attention. Spinning and walking will help receive vortex-like pictures. Use the following technique in the dark background as it looks amazing. There are lots of ideas on how to do steel wool photography which depend on both location and expected result. Here are some of them. Ask a person to take an umbrella and stand in the path of sparks. It will create a fantastic result in steel wool long exposure shots. Pay attention to the tunnels or underground structures. It is possible to spin the wool, with the sparks hitting the walls and going across the building. It is one of the best options for steel wool for photography as the beach has both a beautiful location and wet sand which protects from setting the fire. Your steel wool pictures will be even better if you use additional light painting aspects. Tape glow sticks on the handle of the rope or whisk, turn off the flash or use gels. Try to think of other options to create various effects. What about involving a person in steel photography? The model can hold an umbrella in order to block the sparks, or stand in front of them. Finally, light sparks with off-camera flash. These steps can turn to be really great ways to compose the shots. But remember mentioned above tips and avoid shooting nearby burnable materials. Work with highlights/shadows and color balance if the ISO is low and you didn’t blow out the exposure of the highlights. Changing these sliders will greatly affect the result. Try and see which variant you like more. As for me, I usually drop my highlights about 50-75% for the majority of photos. If you want a steel wool photo without making it on your own, address FixThePhoto team that will help you add steel wool in Photoshop realistically for about $25 per photo. 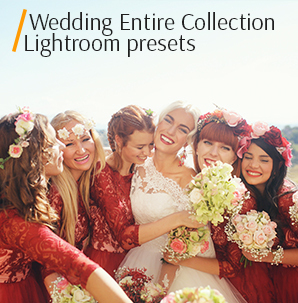 Today most photographers don’t waste time for learning all secrets of perfect image editing. They entrust this process to experienced and checked outsourcing companies like FixThePhoto. Suchlike photo editing services always guarantee top-quality picture retouching in a short period of time. Moreover, there is an opportunity to order steel photography editing in your personal style. There is nothing easier than using Lightroom presets or Photoshop filters which have been already prepared by experienced shooters. It will definitely speed up your image editing as you don’t need to experiment with camera settings. 1. Urban Cityscape Lr Presets "HDR"
Choose this Lightroom preset if want to increase the dynamic range of your images. Don’t worry about the final result as steel wool wedding photography remains quite natural and realistic. 2. 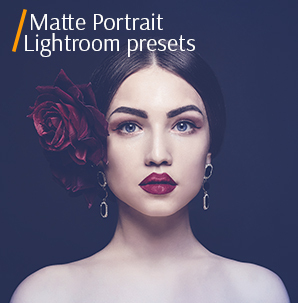 Adobe Lr Preset for Cityscape "Matte"
The following plug-in will be an ideal choice if you want to get some dramatic effect and warm the photo. Actually, it adds sunlight looking bright but natural at the same time. 3. 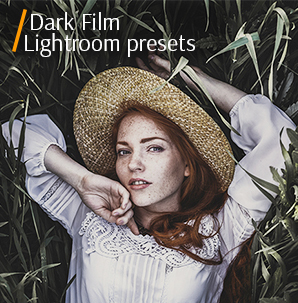 Dark Lightroom Preset "Warm"
Apply this preset in case you are eager to add a little dark and purple split to the photos. Such free tool will improve steel wool pictures by drawing attention to the central part of the shot. Feel free to experiment with sliders in order to get a necessary level of saturation and vibrancy. 4. Dark Preset Lightroom "Vibrance"
Another great Lightroom preset helps improve image contrast when realizing steel wool photography ideas. All in all, you will get highly saturated tones of the shot as well as deep noticeable contrast. Moreover, skin tones remain really natural. Finally, the most noticeable effect is black and white colors. They become brighter than usual if applying suchlike Lightroom presets. 5. Lightroom HDR Preset Free "Hard"
Do you want to create a dark border around images’ edges? Then use this free preset. It will make the viewers pay special attention to the central shot part due to light reduction. Choose it if there are some details which can distract people while looking at steel wool photos.